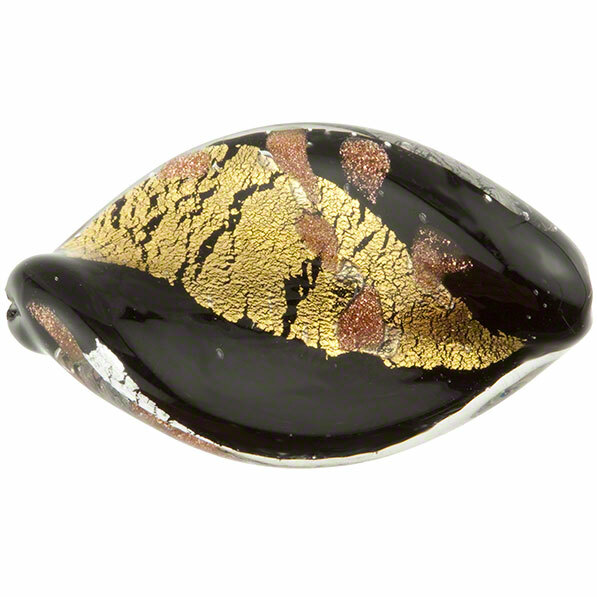 Our Luna patterned Murano Glass bead in a twisted oval shaped (sometimes called leaf or foglia in Italian). 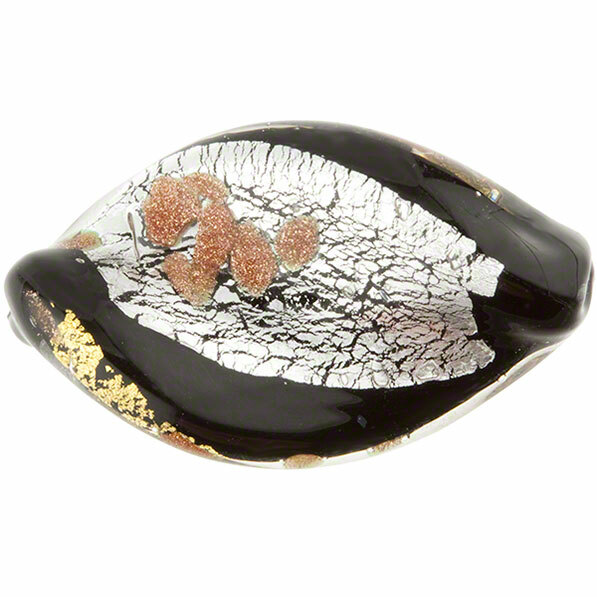 A base of black Moretti Glass with splashes of 24kt gold foil and .925 Sterling Silver along with little particles of Aventurina (copper particles) and all encased in clear Moretti Glass. 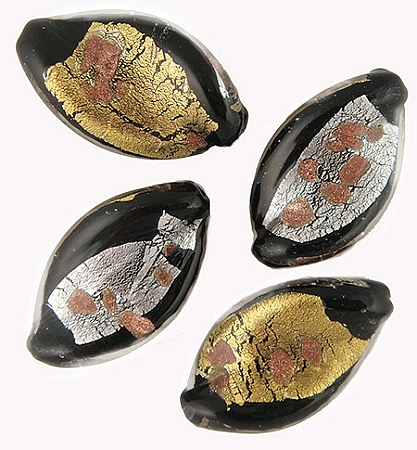 The size is about 30mm long and about 18mm wide, though this varies as they are entirely handmade. 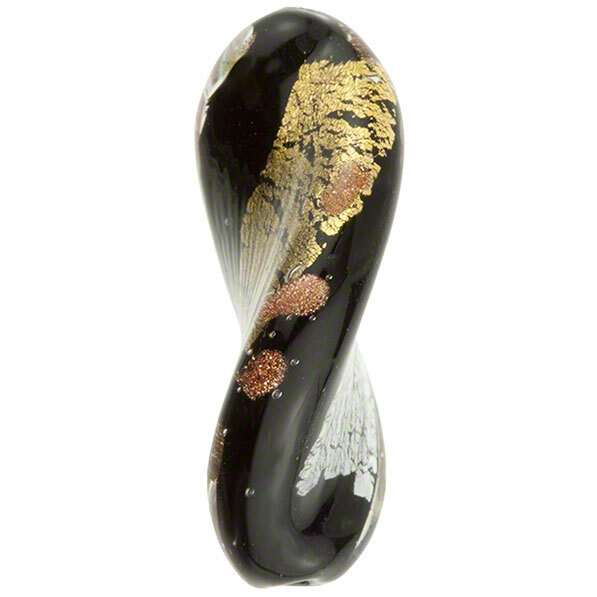 These make beautiful dangle Murano Glass Earrings and can be strung to make a stunning Murano Glass Necklace. The hole in this bead is approximately 1mm in diameter.